We have a cool demo setup at EVRYTHNG to showcase the Gooee solution, with a simple Web app to control the lighting panels located around the office. For people who watch the IoT industry carefully there’s a growing risk of snow blindness with the constant stream of manufacturer launch announcements for their new smart products; XYZ Inc announce their new smart HVAC system… ABC Corp are pleased to launch a new smart thermostat… etc. It’s a steadily increasing drumbeat. So how do you stand out then, when smart is the new normal? It’s worth taking a leaf out of Gooee’s book: they’re not just standing out, they’re disrupting the entire lighting industry. 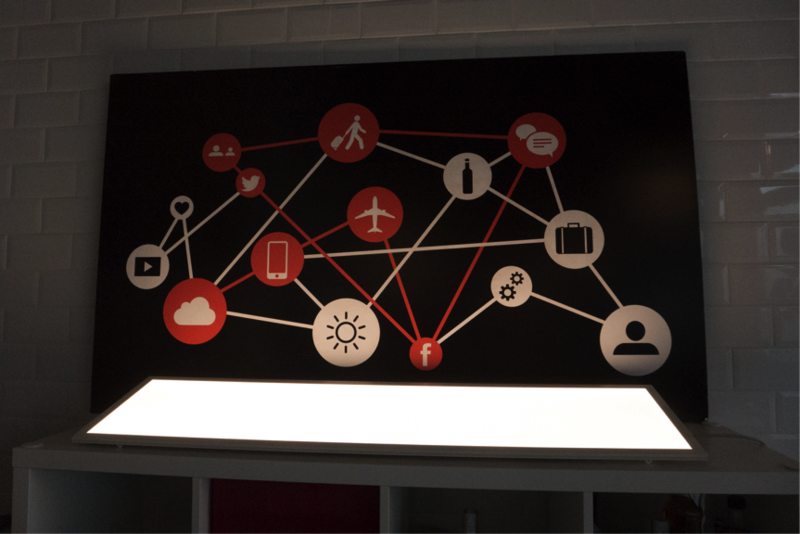 What Gooee have done is taken the lighting ecosystem apart, and reconstructed it for the world of IoT. First they redesigned the humble light bulb to create luminaires concealing embedded processors, sensors and Bluetooth connectivity. Then they connected these to a distributed network of IoT gateways running EVRYTHNG software, and combined them with our enterprise grade IoT Smart Products Platform, which provides the data and identity management, and the cloud horsepower. The result? A full stack lighting ecosystem for lighting OEMs. 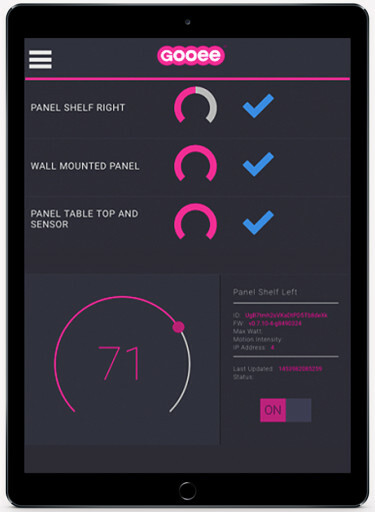 Not only does it enable smart lighting, controlled instantly via mobile apps, wall interface or pre-defined rules; but each lighting endpoint provides a rich stream of real-time human and environmental data, including temperature, humidity, ambient light levels, motion, footfall and energy consumption. They can even report back on their operating performance and expected life span. Lighting manufacturers and their partners can now offer a mesmerizing range of value-added services beyond simple illumination: security services, preventative maintenance, retail applications and energy management to name but a few. So what makes it possible to take the leap from a product-centric business to a services-centric one? For Gooee, and for all our other customers, it revolves around ecosystem connectivity. This is anchored in actively managing the digital identity of every lighting end point on the network, and the flow of real-time data that’s generated and captured enabling it to drive new applications and services. Ecosystem connectivity means having a simple technical way for the diverse players in their business model – OEMs, installers, developers and end users – to digitally interact with the physical product, and with each other. It means having easy communication and data exchange via our open Web APIs, and a flexible data model where access can be granted according to strictly and dynamically controlled security permissions. It means multi-protocol support to enable companies, users and applications to interact in real time, whether it’s a facilities management system taking real-time alerts about luminaire status, or a supply chain operative ascertaining inventory stock levels in distribution centers. You can read more about Gooee by downloading our success story, or check out their neat video on YouTube.